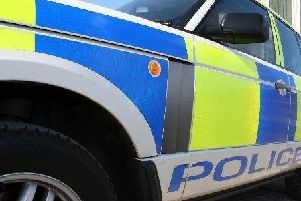 Three men have been arrested in connection with the death of a 59 year-old woman following a hit and run road crash on the A77. All three, aged between 17 and 19 years old, were expected to appear in Ayr Sheriff Court today (Wednesday, February 1) and police say enquiries into the crash are continuing. Joan Price from Troon was driving her red Nissan Pulsar northbound on the A77 when it was struck by a southbound black VW Golf, near to the Holmston Roundabout. A 39 year-old female passenger was seriously injured in the crash and was taken by ambulance to Ayr Hospital where she remains for treatment. Medical staff describe her condition as stable. The driver of the VW Golf and his passenger, also a man, left the scene of the accident prior to police arrival. It is believed they got into a silver Audi A3 that was also on the A77 at the time of the crash. Anyone with information that may assist the investigation should contact the Divisional Road Policing Unit at Irvine through the 101 number or anonymously through Crimestoppers on 0800 555 111.